Geomatics Day 2018 ‘Innovative Applications of Geomatics’ will take place on 22 June 2018. Geomatics Day enables you to meet students, alumni and other Geo-information professionals. Explore how Geomatics contributes to better understand, manage, and shape the Built Environment. In the morning over twenty five students of the MSc programme Geomatics present the results of five projects. In the afternoon, professionals present innovative geomatics solutions. Geomatics Day is full of varied presentations and high-level network opportunities, and has been made possible by Sweco, Voort and CGI. Geomatics is innovative and rapidly developing. Detailed, accurate, and up-to-date 3D representations of the built environment are essential for a multitude of applications. 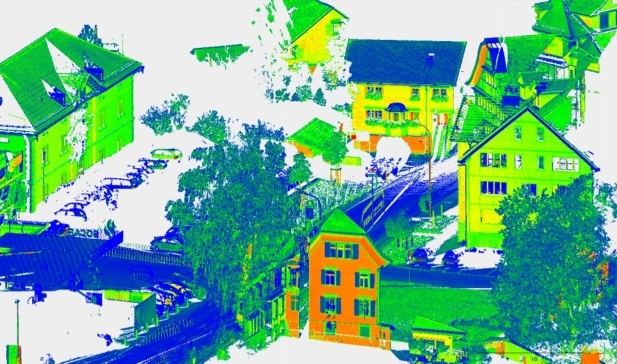 Geomatics covers all aspects of geo-information from sensing technologies to storage, from data quality to privacy, and from analysis and visualisation to smart use. 7) Jessica Vosmeer and Jobbe Spelmink (Voort): Elevator Pitch. Who am I and what am I doing here? Participation in this event is for free. You can't register anymore for this event.